Macbook battery life is much higher than for other laptops, however over time, it begins to decline slowly. To delay this as long as possible, use these few easy tips, found below. In this article, we will tell you how to maintain the battery of your Mac in good condition throughout its entire service life. Some of these tips will help you to take care of your battery for the short time, some focused on a single charge, with others are more concerned with saving battery life over the long term. In fact, Power Save Settings on OS X are minimal, but they work in extending battery life. 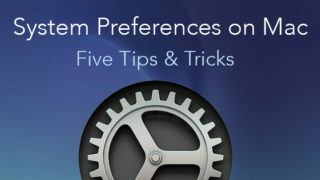 Open System Preferences, and go to Energy Saver. 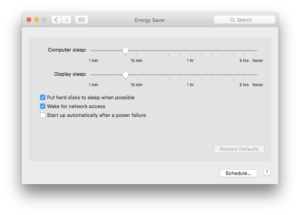 Use the sliders to specify the time after which the display will turn off, and your Mac will go into sleep mode. Here you can also specify whether to display your computer from sleep mode to access the network and slower drives. It also affects the battery power. Some applications use automatic positioning, however, in most cases it’s not necessary, so there is no point to once again to burden your battery. To change geolocation settings, go to System Preferences → Security and Privacy → Privacy tab → Location Services section. 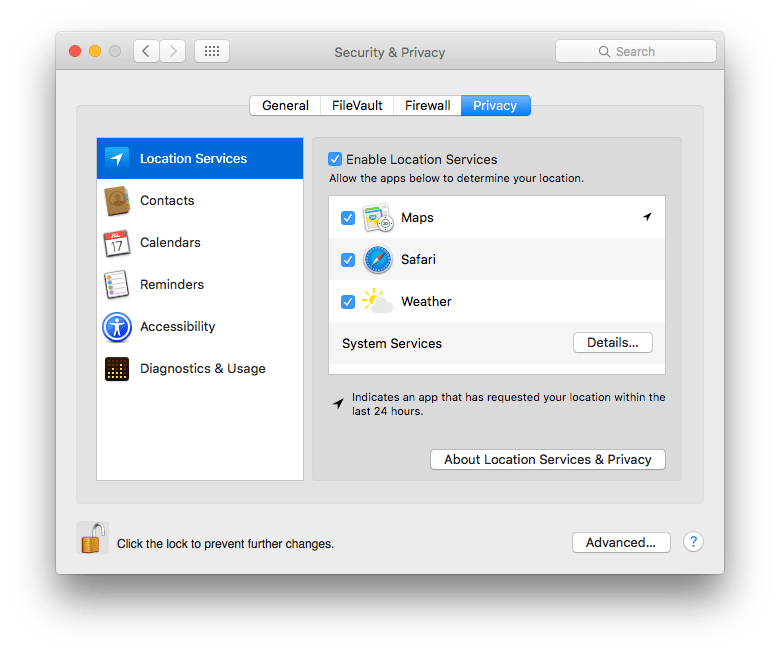 Turn off the geolocation service, or prohibit it for individual applications.It should be noted that the effect of disabling geolocation services is much smaller than in the case of iOS. However, in the power saving even half a percentage point may help a lot. Apple highly recommends a full charge of the MacBook battery when you turn on your device the first time. With its further use, we advise you to follow the certain battery charge cycles. 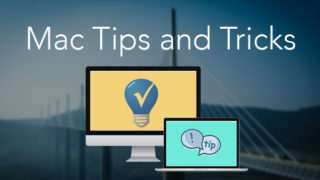 Firstly, do not keep the MacBook connected to the AC adapter after the battery is fully charged. Secondly, try to keep to a strict MacBook battery charging mode. The ideal option would be to use your Macbook in offline mode until the battery is depleted to 5-10% . If you have to go somewhere for a long time and leave your Macbook at home you must remember about your battery, because it suffers from long-term storage. Before you leave your MacBook (for more than 6 months) discharge it about halfway, and keep it in this condition, fully charging it up to 100% is not recommended. And, of course, do not forget to turn it off completely, in order to avoid deep discharge and possible data loss. Battery life strongly depends on the programs running, and CPU usage. The more your processor is loaded, the faster your battery is discharged. 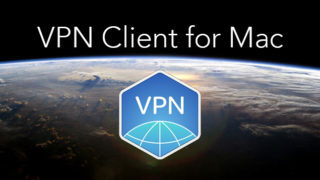 There are a number of applications that use the CPU intensively, including Chrome and Firefox. If a lot of tabs or sites with heavy content (such as Adobe Flash) are opened the Mac’s battery reacts accordingly. You can use Activity Monitor to check your CPU’s activity. 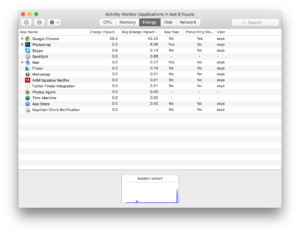 Open Activity Monitor from launchpad and choose “% CPU” column. The CPU capability used by each process will be sorted by the percentage of battery use. Go to the Energy tab to find the most troublesome apps. Close unused applications that are not being used to save battery energy. 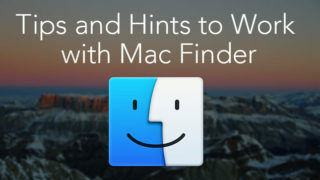 Junk and cache files are created on your MacBook by applications, browsers and the system in general. 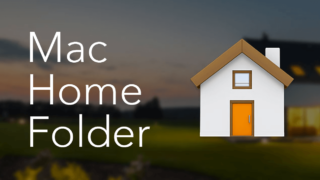 Caches aim to make your MacBook work faster, however, in fact, they are eating up disk memory, and as a result, may slow down your Mac’s speed and affect battery energy. Moreover, some cache files stay on your Macbook even after deleting the app. To extend battery power you should clear your MacBook Pro/Air from junk and caches from time to time. You can use a special tool, Clear Disk, to free up your Mac hard drive and save its battery life. 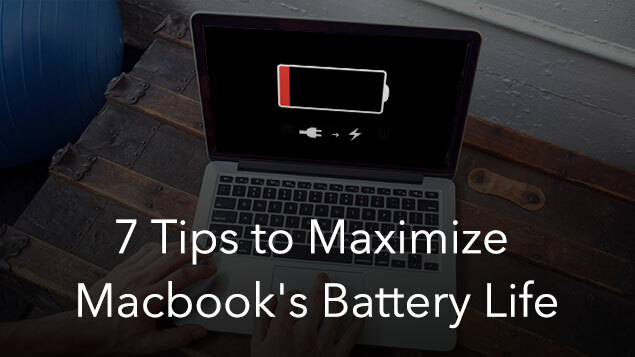 These simple tips are enough to make your Mac battery serve you faithfully for a long time.